Zero Tolerance/under 21 with any BAC (0nly 1 such conviction may be counted towards a felony). Driving under the influence convictions which occur in states outside of Michigan are also counted. This law has been on the books for several years and all states have adopted this law. However, prior to the passage of this Heidi’s Law, a person could only be charged with felony drunk driving if the prior convictions occurred within 10 years of the new arrest. This blog will explore legal defense strategies, possible penalties and other ramifications associated with a felony DUI offense. For additional information: 2016-2017 Macomb County Drunk Driving Update. 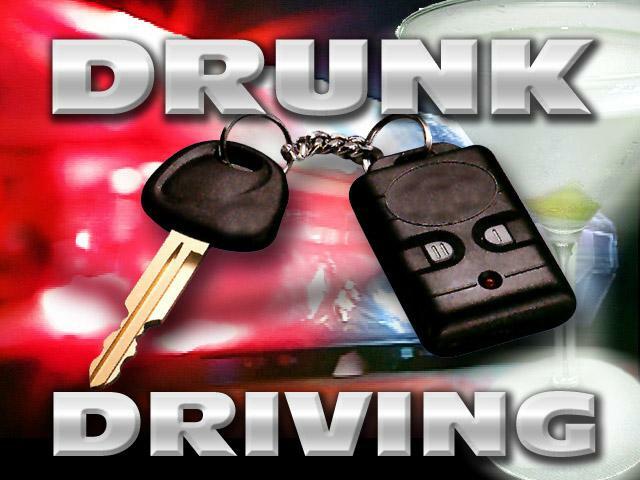 A third time drunk driving, felony conviction, is a serious matter. A person will lose many rights afforded to United States citizens upon obtaining any felony conviction. For example, a person convicted of a felony, including felony DUI, may never be in possession of a firearm pursuant to both state and federal laws. There are also serious employment, educational and social stigmas and consequences associated with a felony record. Hiring a lawyer that lacks experience or confidence handling felony matters can be a dreadful mistake. Felony lawyers will first look at every possible angle to get the charge dismissed or reduced to lower offense. For example, we know from experience that a felony charge in Macomb County (including felony drunk driving) may be reduced to a misdemeanor under certain circumstances. In addition, felony lawyers also know what to expect from judges and prosecutors in the jurisdiction where they practice. There are numerous other legal proceedings applicable to felony cases that require expertise such as deviation requests, motion practice and a complete understanding of the Michigan Sentence Guidelines. Fines: $500.00 to $5,000.00 fine, plus costs. Probation with imprisonment in the county jail for not less than 30 days or more than 1 year and community service for not less than 60 days or more than 180 days. Not less than 48 hours of this imprisonment shall be served consecutively. License Sanctions: License revoked minimum of 1 year for any felony driving offense. A second revocation is for 5 years. After minimum period of revocation, a person must appear before the Driver License Appeal Division satisfy several requirements before a license will be granted. Other: Destruction of License, Plate confiscation, Vehicle immobilization from 1 to 3 years, Possible vehicle forfeiture . *There is NO ATTORNEY IN THE ENTIRE STATE OF MICHIGAN that can guarantee that you won’t get jail upon conviction for a felony drunk driving (OWI 3rd) because Michigan’s drunk driving statute requires a mandatory term of incarceration upon conviction. However, there is a safety net which our attorneys have advocated when jail (30 days minimum) is combined with probation and community service. A request can be made for work release or for jail to be served on weekends. In addition, jail is not mandatory if the felony is reduced to a misdemeanor! (b) The person has an alcohol content of 0.08 grams or more per 100 milliliters of blood, per 210 liters of breath, or per 67 milliliters of urine, or, beginning October 1, 2018, the person has an alcohol content of 0.10 grams or more per 100 milliliters of blood, per 210 liters of breath, or per 67 milliliters of urine. Proof of operation of vehicle: The police do not have to witness the offender actually driving or operating the vehicle. In the cases researched, you can be charged and convicted with OWI if the police had probable cause to believe the accused was operating the vehicle at some point in time. In other words, evidence of recent operation will suffice in cases where there is an accident or when a vehicle in a ditch or off the road). Legal traffic stop: A traffic stop may be based upon any violation of any Michigan traffic laws. Drivers are often stopped for straddling lane markers, weaving between lanes, driving at excessive or very slow speeds, braking erratically, obstructed vision, defective equipment and coming in close contact with objects or other vehicles. The police may also approach a person that is found fixing a flat tire on the shoulder of a road although nothing illegal is occurring! Cellular phone calls to the police may also be used to give law enforcement officers with notice of a drunk driver’s whereabouts. The caller may be eventually be called as a witness. Our goals in every criminal case, including drunk driving, are always the same: avoiding of a conviction and avoiding jail! While avoiding a conviction or jail 100% of the time is not realistic even for experienced criminal defense lawyers, steps can be taken to get a case under control, reduce charges and obtain the lowest possible sentence. Client Background: Obtaining a complete personal history of our client is essential in the preparation of a sound legal defense. In our experience, the positive background of a person can make a vast impression on the prosecutor, the probation department and the assigned judge during various phases of a criminal case. Criminal History: In addition to the personal history, the lifetime criminal conviction history also plays a vital role in the criminal process of a drunk driving offense. We can usually minimize the value of extremely old criminal offenses. Habitual Felony Offenders: For felony convictions, Michigan judges are required to follow the Michigan Sentencing Guidelines. The guidelines factor in prior convictions and felonies for purpose of scoring a sentence range. Prior felonies will be used to label an offender as a habitual offender. A person with 1 prior felony is considered a “habitual offender 1” or Hab-1st. Habitual offender status can go as high as Hab-4. The maximum penalty for a person with Hab-4th status (meaning the person has 3 prior felonies not counting the charged felony) is up to life in prison. Is the person charged with a *true 3rd DUI offense (meaning the offender has only 2 prior DUI lifetime convictions)? Are any of the prior drinking & driving offenses more than 10 years old? Does the offender have a felony record? Does the pending offense involve an injury accident? Is the blood alcohol content (BAC) in a close range to .08% or is it extremely high (over .17%)? Has the offender engaged a substance abuse counselor and/or AA? Is the offender on probation for any other criminal matter? *In Macomb County, our firm has advocated plea bargains to a misdemeanor if the offender is charged as a true third drunk driving offender. We have achieved this result in numerous cases; including offenders with more than two (2) prior lifetime DUI offenses. Public policy, accidents involving injuries and directives by the County Prosecuting Attorney may have an impact on plea bargaining drunk driving cases. Everyone likes to believe that they will win their drunk driving case at trial. This is not realistic since the vast majority of drunk driving offenses (as well as all other criminal offenses) in Michigan are resolved based upon a plea bargain. In fact, recent statistics indicate that over 90% of all criminal cases are resolved by a plea bargain and not by trial. Contact the ABDO LAW FIRM if you are charged with any criminal offense (misdemeanor or felony), drinking and driving offense, including drunk driving third. You may be eligible for a reduction despite policy against doing so in many counties. After being retained, we will you ask to begin counseling, AA meetings and provide our office with letters of achievement as well as character reference letters. We will order discovery (police reports, test results and video) and analyze the evidence. Your input and ours will be utilized in the defense of your case.